The Connemara Gaels earned a good win over a Christopher’s side that will have been disappointed with their first championship outing of the year. The Gaels controlled the game from start to finish, and looked the more settled side. Lee Cullen, who played on the 2013 championship side lined out at center back while Jason Cully looked at home at corner forward. Christopher’s started fairly well, but quickly ran out of options as the Gaels ran out easy winners in the end. Christopher's could not hold John O'Brien and the Gaels. The Gaels took the break five points to the good, and had the luxury of several wasted opportunities in the process. An early goal from Jack Kielt set the tone. The Gaels worked the ball well into Kielt on the edge of the small square and the corner forward buried the ball into the far corner. Christopher’s responded with a Cormac Collins point, and the teams went toe to toe for the next 15 minutes. Kevin Hodgins popped over two well taken points for Christopher’s, and for the Gaels it was David Larkin and Kielt. The Gaels moved the ball well overall with some good running from John O’Brien and Westmeath man, Jason Cully. The Gaels, however, did not take full advantage of the opportunities to open a substantial lead. Three unanswered points before half time, however, did provide a fairly comfortable 5-point cushion for the Gaels. The Gaels' Brendan Boylan was highest for this kickout. The second half followed a similar pattern to the first, Christopher’s searching for options to open up the Gaels back line, but not finding many answers. Joe O’Shea did well at corner back while Brendan Boylan and Graham saw plenty of the ball as the Gaels enjoyed most of the possession. Again, in spite of some missed chances, the Gaels extended their lead. Ryan Caffrey put two nice points over in succession, one in which two Christopher’s defenders bit on a dummy. Kielt and Graham added one each, to a solitary point from a free for Christopher’s from the boot of Cathal Finucane as it was one way traffic. Jack Kielt netted with aplomb in the final minutes to add to Christopher’s misery, and Mark Delaney saw red for a rash challenge and the game in injury time. It was a great rebound for the Gaels following last week’s defeat at the hands of Wolfe Tones, while Christopher’s will be looking for a better performance in their next outing of the season when they meet Donegal in two week’s time. 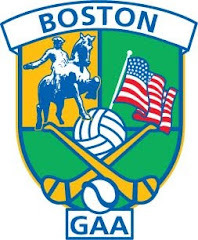 Gaels: E. Connolly, A. Girvan, J. O’Shea, D. Doolan, L. Cullen, D. Larkin, R. Caffrey, B. Boylan, S. Conneely, N. Graham, J. O’Brien, J. Cully, J. Kielt. Christopher’s: R. Lavelle, D. Kelliher, P. Allen, B. Deasy, J. Horgan, P. Kenneally, C. O’Brien, M. Delaney, P. Manning, J. Murphy, C. Collins, D. Kenneally, K. Hodgins.